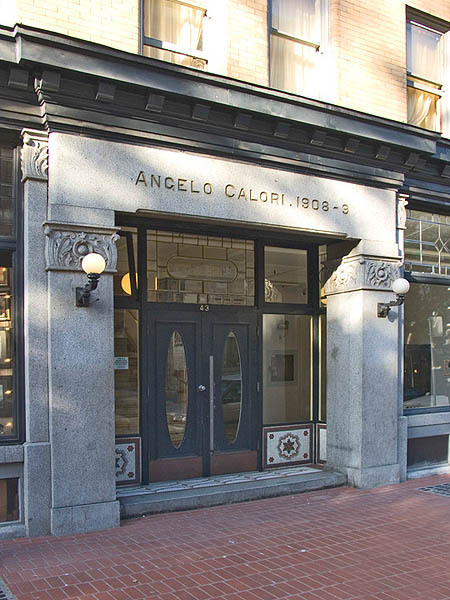 Angelo Calori commissioned this building as an hotel, his name and commissioning date is inscribed above the main doorway. The Hotel Europe was the earliest reinforced concrete structure in Vancouver and the first fireproof hotel in western Canada. It still has its original Italian tilework and leaded-glass windows extent. Glass tiles embedded in the sidewalk along Alexander Street were once used to provide light to the below ground saloon of the day.